Back when I was a slip of a lad, as someone who a) was even then an F1 obsessive beyond redemption and b) lived near Edinburgh, I took it upon myself to map a potential F1 circuit around Edinburgh's city centre. Beautiful thing it was too, starting and finishing on the famous Princes Street, taking in the Royal Mile and other well-kent Auld Reekie landmarks and - perhaps adding a touch of the old Nurburgring - having Edinburgh Castle as the circuit's centre piece. Scenic, devilishly undulating and with some spell-binding fast sections. It would have been a Montjuic for the new age. 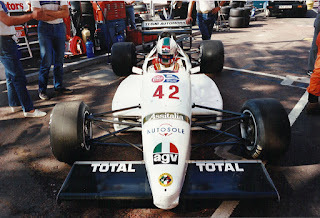 And yet... Perhaps even then in my youthful idealist state somewhere in a dim mental recess I knew it wasn't plausible, even though the wonderful oddball of the F3000 Birmingham Superprix around part of downtown Brum existed at roughly the same time. A flipside of my track's spell-binding fast sections is that they'd have been unlikely to pass safety standards even then - for example at the end of Princes Street with cars pushing 200 mph presumably there was a quick right-left with Calton Hill on one side and a sheer drop on the other to gather anyone who got it wrong. Then there's that very same Royal Mile, which if you've ever visited you'll know is rather narrow, has buildings tightly packed on either side and much of its surface is cobbled... As I grew older and more hard-bitten plenty of other good reasons why all this would never happen seeped into my consciousness too. But it's good to know I'm not alone when it comes to this sort of fantasising, as well as that such pursuits are not beyond some those of who are all grown up. The concept of a London Grand Prix, perhaps as a street race, is one that despite everything refuses point blank to desist, and it has been that way for years. As Joe Saward reckoned, "about once every two years there is a story about the possibility of a Grand Prix on the streets of London and people ask daft questions about whether it could happen..."
Perhaps it's understandable though, given that more than once just at a point when you hadn't heard about the idea in a while with perfect timing something has come along to give the whole matter the renewed urge that Saward described, jolting it all right back into full vigour. Exciting stuff, yet while you'd have thought it was done as a publicity stunt primarily and really should never have got beyond the status of being merely a bit of fun (I mean ignoring everything else, F1 cars going through the very single file Admiralty Arch?) the thing arrived with supposed seriousness attached to it. The associated communications spoke rather weightily of a "detailed feasibility study undertaken by expert project architects, Populous, who have first hand experience of delivering Formula 1 infrastructure projects for Silverstone and a range of other venue clients of international stature..."
It also got the two McLaren drivers of the time Jenson Button and Lewis Hamilton - who Santander sponsored - to make positive noises about the prospect. The pair it said also had been "extensively consulted" on the project's details. Further the man who really matters in such things - a certain Bernie Ecclestone - right on cue descended upon the idea at the time too, armed apparently with an extra-large spoon with which to stir things. Rather than it all being frivolous Bernie suggested this or something like it was a goer. Little wonder therefore that more people than you'd expect took the idea seriously. "The idea of an F1 street race in London is something I have had for many years" said Bernie. "It would be magnificent. 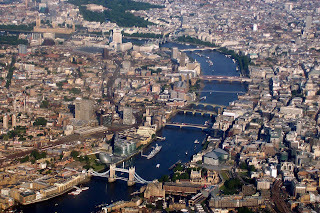 A couple of years ago we came very close to an agreement with the City of Westminster and The Mayor's office but we ran into the small problem of cost. 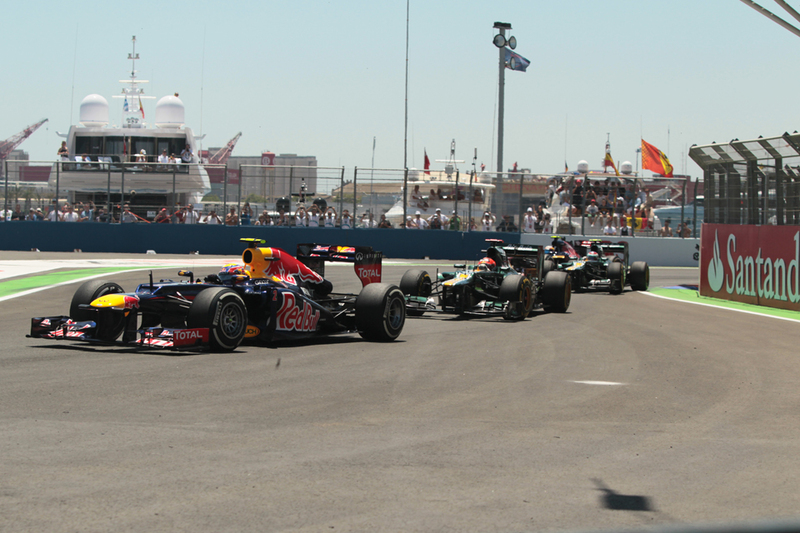 A few years back over half a million people turned up to watch F1 cars parading through the streets of the capital. 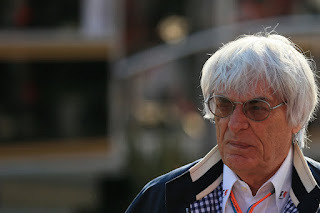 The public's appetite for a London Grand Prix is huge as I am sure it is with the F1 teams and sponsors." That "half a million" people he spoke of was in 2004 when a succession of F1 cars paraded down and around Regent Street in the epicentre of central London's shopping area. And it was quite an event; I recall being there indeed and on a beautiful summer evening was scarcely able to see due to the mass of humanity that was in attendance. The local enthusiasm could not be doubted. This perhaps marked the starting point of speculation about a London Grand Prix, at least in the modern era. And sure enough the ubiquitous Bernie not long before the 2004 event had something to say: "there's a very good chance that a [London] race will happen - we're working on it" he promised. The London Mayor of the time Ken Livingstone also said he was open to the idea in principle at least, something reiterated by his successor Boris Johnson at last year's Formula E race in London. After these came the UK government's move in 2014, following some years of effort by the Motor Sports Association, to make it easier to hold motorsport events on closed public roads by taking away the need to suspend or amend the Road Traffic Act each time, something which was passed last year in the 2015 Deregulation Act. This of course is a general move for the entire country and for all motorsport forms, but it doesn't stop it being reported as if it applies to an F1 London race solely, with resultant headlines such as 'London Grand Prix receives boost' and the like. Button again was on hand to make excitable noises too. "When I first saw the plans for a London Grand Prix I knew they were ambitious, but fantastic," he said. "The thought of a race through the capital's streets was only a dream when they initiated the project, but this week's changes to the law bring the idea a step closer to reality." This was the case again in the last couple of weeks when there was yet another round of interest, this time in response to the secondary legislation (i.e. the rules and regulations) to be introduced to parliament shortly, to make the more streamlined system legislated for a reality. And it got pretty much the same 'London GP takes a step closer' interpretations. We shouldn't sneer too much though, as of course the overriding reason the prospect of an F1 London Grand Prix gets so much interest is because - if it did in whatever parallel-universe scenario come to pass - it would be such a fantastic event. 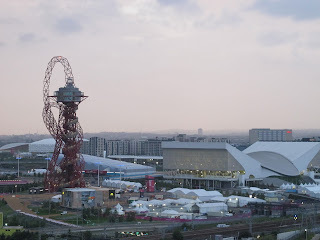 London's status as a world centre is not to be denied, neither is the level of sheer enthusiasm for sports and events among its vast population. The positive impact on the sport of F1 cars flying around central London streets with such an iconic backdrop would be way off any scale used previously. By John Cummings, CC BY-SA 3.0, https://commons. There has been a general culture shift in recent years too. The aim these days is more to bring motorsport to the people if you can rather than rely on the old lingering way of requiring the people to go way out to a remote permanent circuit, related among other things to that competition for the public's money and attention is much more competitive. 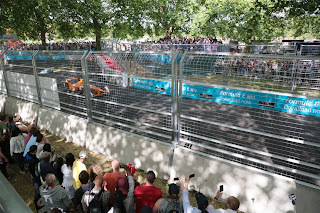 Formula E doing just that has concentrated minds, and indeed that series has beaten F1 to the punch of establishing a London race for itself, albeit in Battersea Park rather than on public roads. And a London Grand Prix therefore is a subject pretty much guaranteed to get media interest, especially from the non specialist press. With this that Bernie is so prone to make encouraging noises about such a race should be no great mystery; we know how he loves to create headlines for the sport particularly in places it wouldn't ordinarily get them. It may - in another of his hobby horses - ever so gently put a frightener up his favourite bete noire of Silverstone too, so all good from his point of view. And when BCE said what he had to say about the Santander circuit some were cynical enough to point out that he said it just a day after his old acquaintance Gerhard Gribkowsky had been sentenced to prison for his role in selling BayernLB's stake in F1 to CVC, and he had claimed in his trial of course that Bernie bribed him in order to facilitate this. In other words, Bernie might have been minded to have attention elsewhere. The F1 equivalent of Lynton Crosby's 'dead cat strategy' (i.e. if you want to change the subject of discussion, throw a dead cat onto the table. Then no matter what was being argued about before all then anyone wants to talk about is the dead cat). And beyond the hypothetical stage the hurdles that stand before making this happen are vast and numerous. The habitual matter of where the hosting fees will come from is of course a major one - and London doesn't have the need to establish itself internationally as a business or tourist destination that those venues that do pay through the nose have. But the biggest hurdle simply is logistical. Go to the centre of London at pretty much any time, including the middle of the night even, and note the number of people and particularly traffic around. And then imagine what would happen if it was all closed off for an extended period for an F1 race. Remember too it'd be for way above the three days of the event itself, given the setting up and dismantling/cleaning up time. It also would include roadworks in order to get rid of street furniture as well as for resurfacing. Probably it would be for weeks. It's a non-starter. Indeed it was for this very reason that Formula E swiftly abandoned any plan to make its own London event a street race. As the series boss Alejandro Agag explained: "If we created a huge traffic jam in London for two weeks, people were going to hate Formula E". It's not coincidence that generally the downtown street circuit is more often than not side-stepped these days. 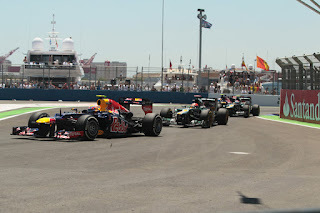 In F1 especially what street tracks there are have been in recent decades tended to be at least somewhere away from the city centre (Valencia) or in a park rather than on main rounds (Melbourne, Montreal, Adelaide too to a large extent). The Singapore circuit is centrally located but even with its massive success rumours linger of the layout being shifted somewhere a little more out of the way. The Baku circuit remains to be seen of course. Monaco remains, for a number of reasons, a special case. Autosport's Gary Watkins cautioned that even with the recent changes to legislation as well as that the Birmingham Superprix isn't too far in the dim and distant past, now "a street race in the UK would require immense political will, massive financial clout and the dogged determination of an individual of the like of Martin Hone. He was the architect of the 'Monaco of the Midlands' and spent the better part of 20 years pursuing his dream (only to have the event ripped out of his control, but that's another story)." As Watkins pointed out too even 30 years ago in the Birmingham Superprix's day the country was rather a different place, with barely a shop open on Sundays. Not so now. "The Deregulation Act may one day lead to hillclimbing, sprinting and rallying on the public roads of mainland Britain" Watkins went on, "but I'm not convinced I'm going to see street racing again in my own country any time soon. Or possibly ever." Instead if there is to be a London Grand Prix the much more likely prospect, as Watkins outlined, is "a parkland circuit of which we have a long and fine tradition in the UK". Indeed it has a long and fine tradition in London particularly with mainly the wonderful Crystal Palace venue raced at up until 1972. 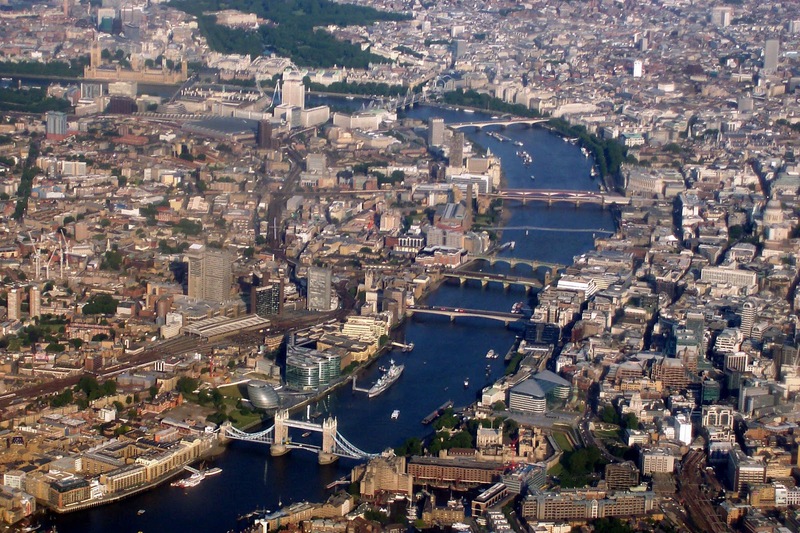 A London race in Hyde Park has been mooted in this vein, and indeed it's not a new idea. Some decades ago when the inimitable Innes Ireland was asked by a journalist what the UK Minister of Sport could do to most assist motorsport, his immediate reply was: "Let's have a Grand Prix in Hyde Park! I'm serious - I think it would be a terrific thing. It would make a fabulous circuit. You could get so many spectators into it that it would make a real pile for the sport. "All the roundabouts and bollards are removable," Ireland went on. "They pick them up for Royal processions so no doubt they could pick them up for motor racing. Grandstands could be erected in no time. A fair amount of work would be involved in diverting traffic, but it could be done, as it is in other countries." Doing something at London's new Olympic Park has been spoken of in the more recent past. This would be not unlike what we have on the calendar already in Sochi and (kind of) in Montreal. As with Sochi too it would benefit from the infrastructure there already such as communication and transport links. Indeed in 2012 a company called Intelligent Transport Solutions Ltd (I don't know about you, but I have an instinctive mistrust of any organisation with the word 'solutions' in its title) was one of several bidding for use of the London Olympic Stadium, and proposed using it as a Grand Prix venue, the track apparently going around and indeed through the stadium - not entirely outlandish given what we have in the Mexican Grand Prix. I assume from that we've heard nothing since that the proposal was unsuccessful and as is usually the way with such things the later you try to shoe-horn alternative uses in the harder they are to make a reality, given the reverse-engineering required. These park options unlike the Santander effort at least are plausible though, and are shorn of a lot of the problems listed for a downtown event. They'd still retain a few of their own however. Not least local objectors - even the apparently inoffensive closing of Battersea Park for a couple of days for silent Formula E cars with their lovely green, forward-thinking image got (and gets) a fair whack of opposition from locals and park users. Opposition that may prove fatal still to the event. And with F1 you can multiply that opposition several times over. Saward outlined further that the problems of any London Grand Prix are several indeed, including that it "would have every nimby in Christendom up in arms, defending urban foxes and sewer rats; secondly, it would cost rather a lot of money because roadways would need to be resurfaced to have road suitable for F1 cars, and someone somewhere would need to pay the race fees, which would need to be somewhere around $40-50 million a year (with an annual 10 per cent hike) in order for the race to be worth considering. Another problem is that London already has very high hotel room occupancy rates and that means that the additional revenues generated by a race would be less than other venues which need tourists. The prices are already high and so adding any more special taxes to pay for the event would meet resistance." As I discovered with my yet to be realised Edinburgh Superprix, mapping a circuit around some streets is by far the easiest part of such a process.